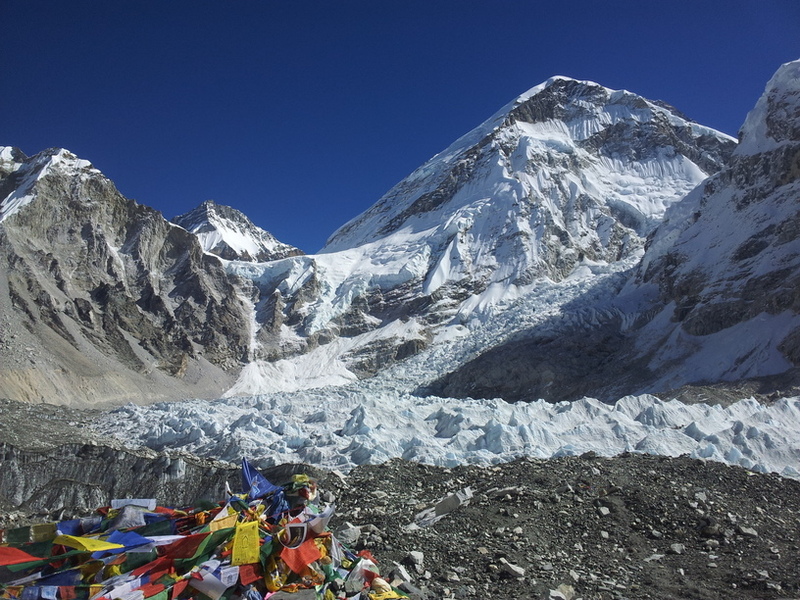 Everest Base Camp (5,360 m.) is the base camp of Highest Mountain (8,850 m.) in the world. 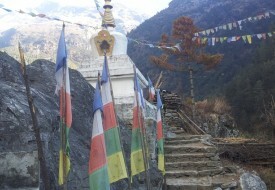 It falls inside Sagarmatha National Park. The Trek starts with flight from Kathmandu to Lukla from where the journey continues through Phading along the Dud Kosi River and world famous Namche Bazar (3,435 m.) the settlement of popular Sherpa people of high land. 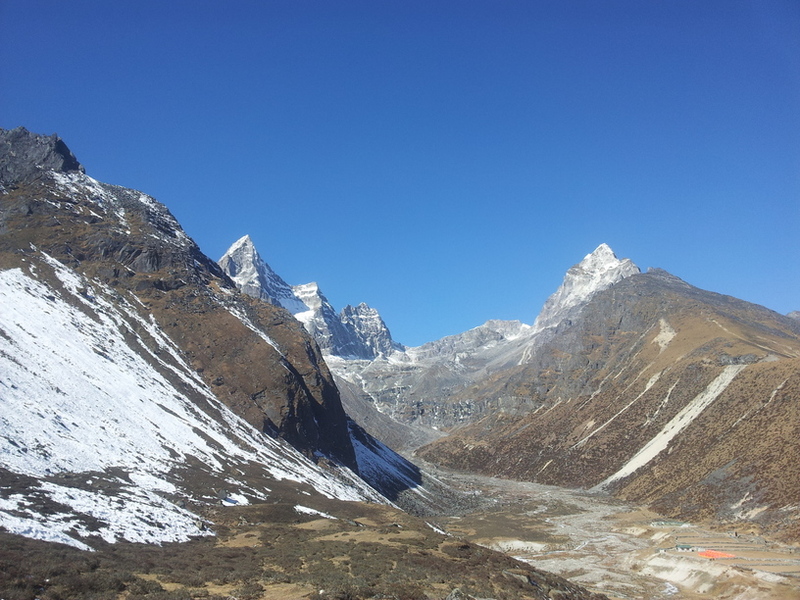 This route goes through the villages like Khumjung, Khunde, Pangboche and Dengboche above 4,000 m. The trek goes upwards to Everest Base Camp at Kalapathar (5,545 m.) and then to Cho la Pass (5,420m) into the Gokyo valley. Beautiful lakes and Ngozumpa Glacier Gokyo ri (5,360 m.) are distinguishing destinations. Now you can trek back to Namche and Lukla all the way through the beautiful pine and rhododendron forest and a beautiful waterfall. 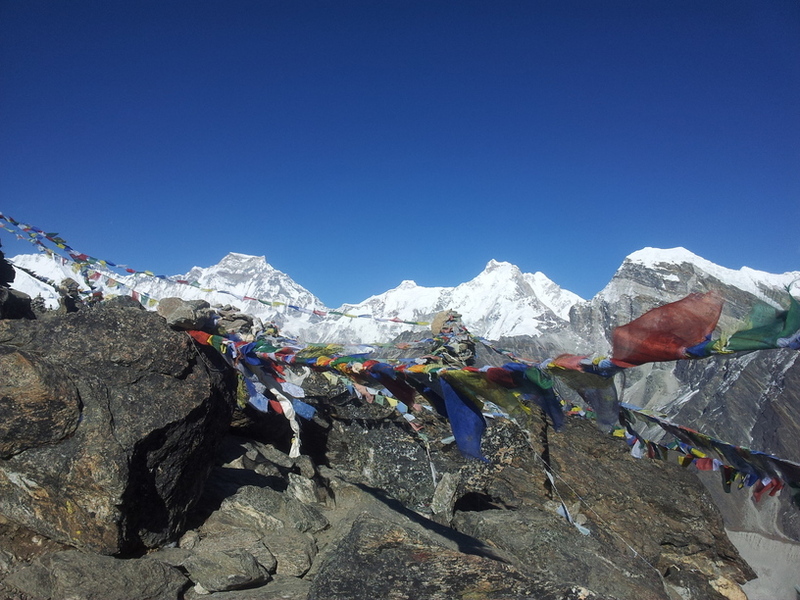 Around this trek you can enjoy a beautiful view of the high Himalaya range in Khumbu Region including Everest (8,850 m.) Lotse, Cho oyu (8,188 m.), Amadoblem and other many mountain. Day-7: Acclimatized Day in Dengboche.